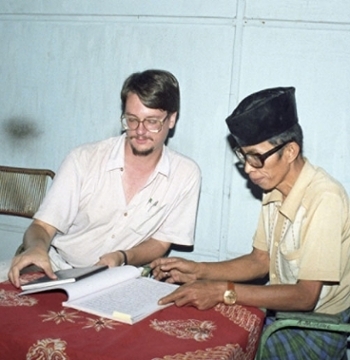 The Department of Anthropology at the University of Rochester specializes in sociocultural anthropology, with faculty who have lived and worked with people in rural and urban communities around the world. The department also explores contemporary preoccupations with food, environment, law and human rights, global religions and science, and technology. The department offers a BA in anthropology, as well as an BA with Honors, a minor, and several clusters. Our program provides students with a foundation in social theory and fieldwork methodology, and emphasizes critical thinking and cross-cultural understanding. This program prepares students to cope with the economic, political, and social issues of a rapidly changing world. Interested in majoring or minoring in anthropology? Check out How I Discovered My Passion for Anthropology by Jamie Rudd ‘17. Anthropology is the study of humans and humanity, past and present, in an attempt to document the way people behave and why. This includes classical questions about family and kinship, myth and ritual, ethnicity and race, gender and sexuality, capitalism and exchange. It also encompasses contemporary preoccupations with food, environment, law and human rights, global religions, science, and technology. We study why people behave the way they do, and try to document how diverse and variable human behavior can be around the world.